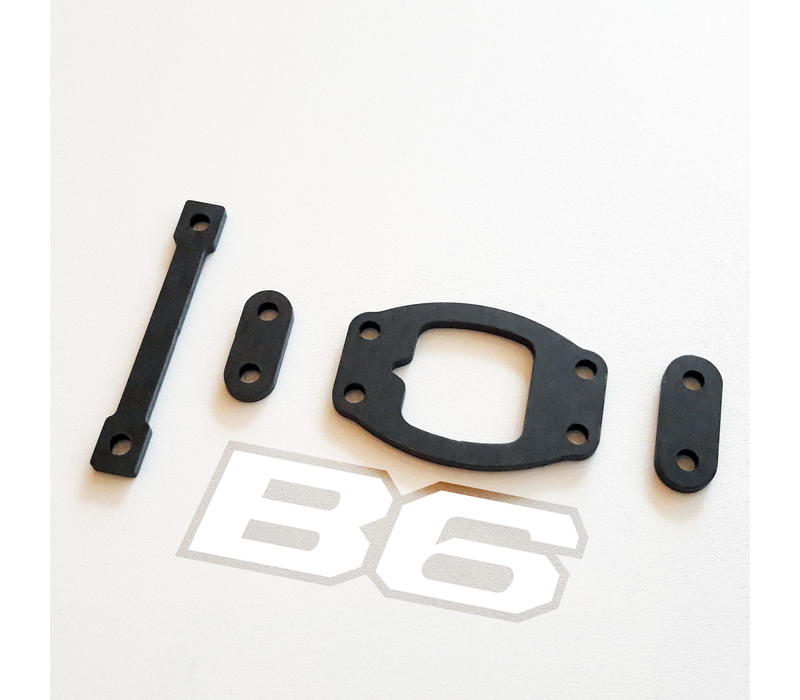 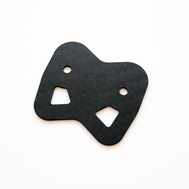 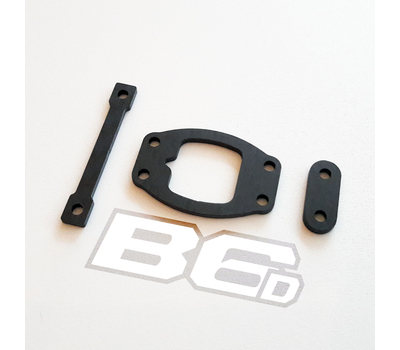 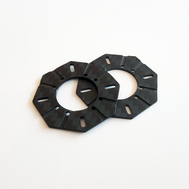 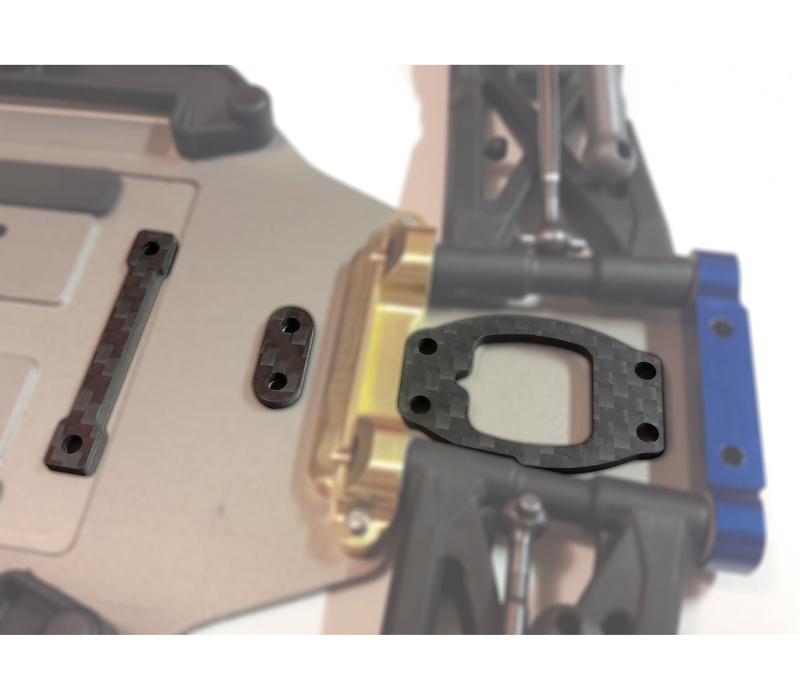 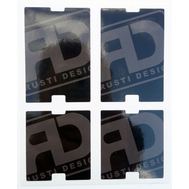 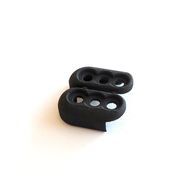 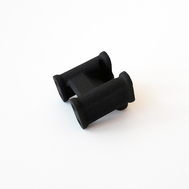 The +2mm rear gearbox shim set has been designed to raise the gearbox and shock tower block on B6Ds and B6. 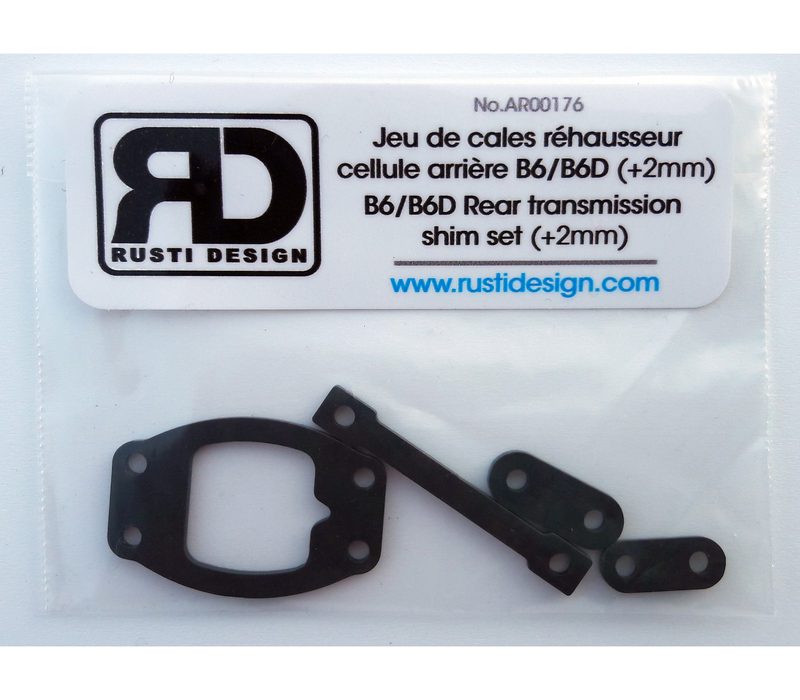 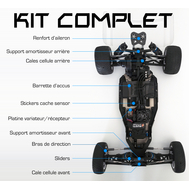 A additional shim is provided for the specific B6 flat gearbox (6 fixing points under chassis instead of 4 for standup gearboxes). 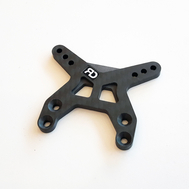 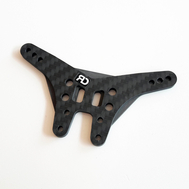 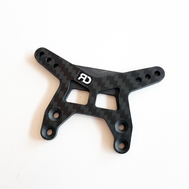 When used with +2 or +3mm rear hub inserts, this item helps to maintain low angles on the universals while lowering the chassis. This is specially useful on high grip tracks where you want to lower the car to avoid grip roll. 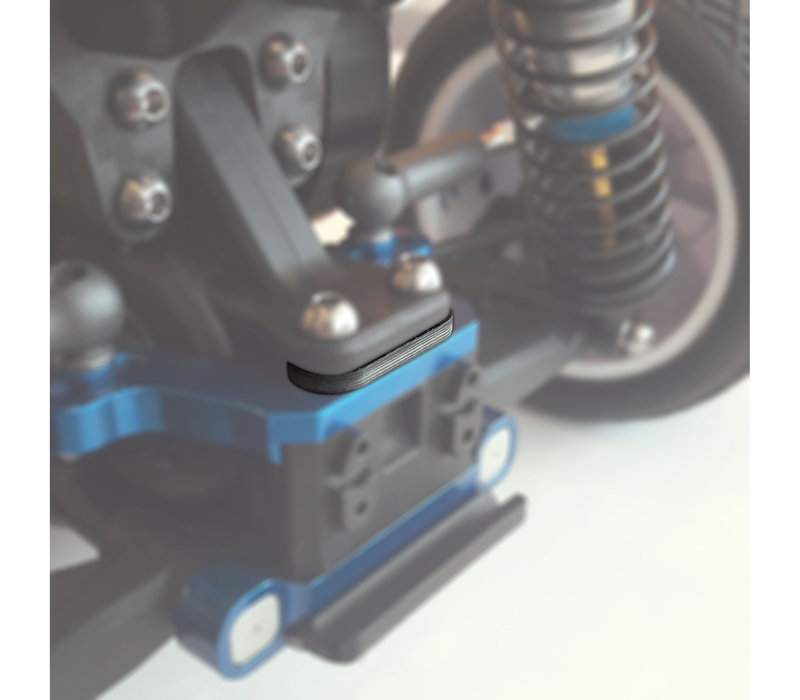 Note: Raising the gearbox changes the droop setting, so you want to unscrew shock ends or use longer ones in order to maintain the same droop.